Last spring when we were trimming trees in the yard, there were a couple of relatively straight branches from the cherry tree that were too pretty of wood to throw out! 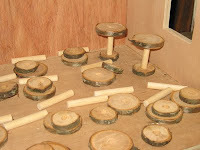 So we let them dry out for a few months, and then I cut them up, my husband drilled holes through the centers, I cut dowels, and with a couple of taps of the hammer you have some quick (and cheap) miniature inn tables, coffee tables, or nightstands. 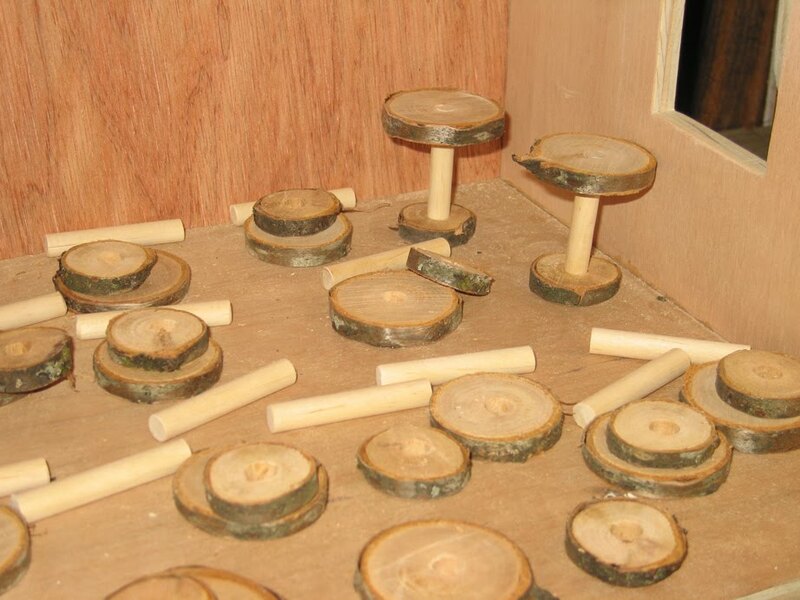 They can be varnished to keep the rustic look, or the bark easily peels off and then they can be painted... or you can glue fabric over and around them to create a table cloth covered bedside table. 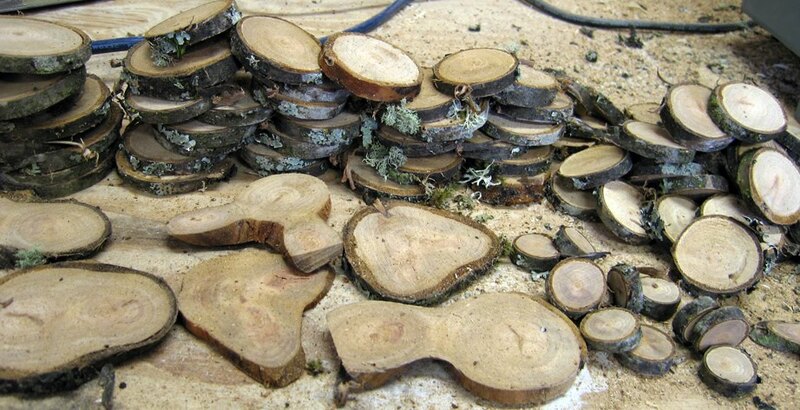 Note: If you do this, be very careful when cutting the branches into disks. 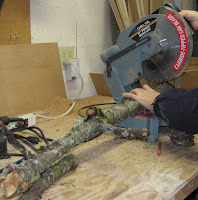 The saw can "grab" the branch and whip it on you, so only select "straight" parts of branches.